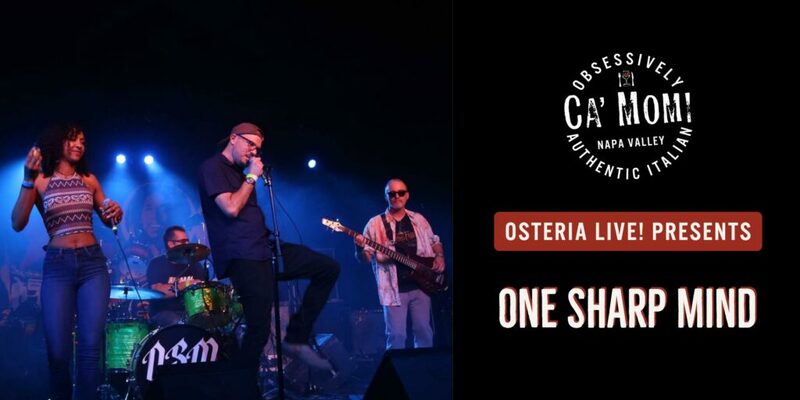 Join Ca’ Momi Osteria the first & third Friday of each and every month for the Napa Valley’s longest-running Latin dance party: La Noche Latina! From Salsa to Cumbia, Rumba to Banda, Merengue to Reggaeton; La Noche Latina features some of the Bay Area’s hottest DJs including DJ Jose Miguel, DJ Tamayo, DJ Willy & more! 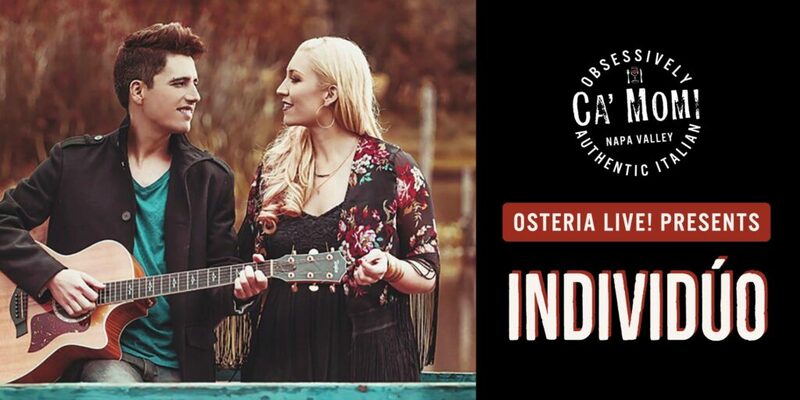 Bring your finest dance moves & pair them with our obsessively authentic Italian cuisine, Napa Valley & Italian wines, garden-to-glass cocktails & organic house-brewed beers. Weekly drink specials & our amazing Late Night Happy Hour are available during every presentation of La Noche Latina. Looking for that VIP experience? 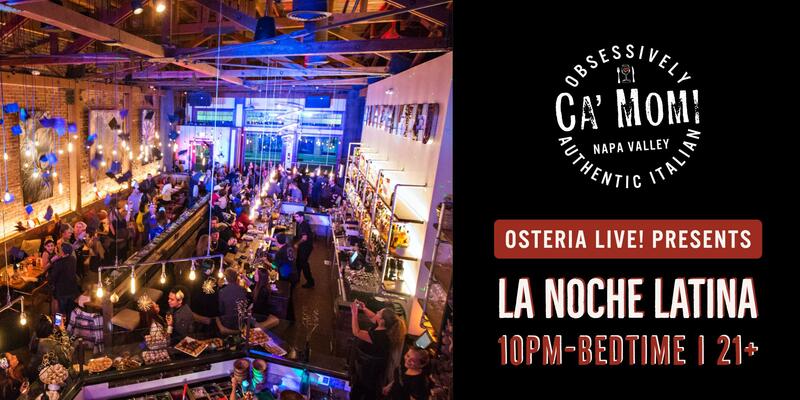 Purchase a reserved table for four guests & receive a $120 gift card to spend at La Noche Latina or your next visit to Ca’ Momi Osteria. Please note that general admission tickets do not include table reservations. La Noche Latina is available to our guests age 21 and over. Simple dress code strictly enforced: no hats/headwear; no hoodies. Smoking &/or drug use (including sanctioned THC & CBD, vape, etc) are not allowed inside La Noche Latina or within 50 feet of any building entrance. Altercations, physical or verbal, will not be tolerated on the premises and will result in immediate and permanent ejection from the event, without refund of ticketing costs. Thank you for helping us to keep La Noche Latina one of the safest & longest-running programs in the Napa Valley!